San Francisco backup quarterback Colin Kaepernick, who has stood for the sanctity of black lives by kneeling during the national anthem, is giving away at least a portion of his colossal footwear collection to Bay Area homeless shelters and orphanages, according to a video posted on Instagram by his girlfriend, DJ Nessa. Kaepernick, who is known for his massive collection of kicks (mostly of Nikes, since he has an endorsement deal with them), may be taking the Buddhist philosophy of letting go to heart. Since he started showing off his collection on Instagram in June of 2012, the QB has reportedly amassed hundreds of pairs of pristine kicks—so many, in fact, that he converted his garage into a walk-in shoe closet. 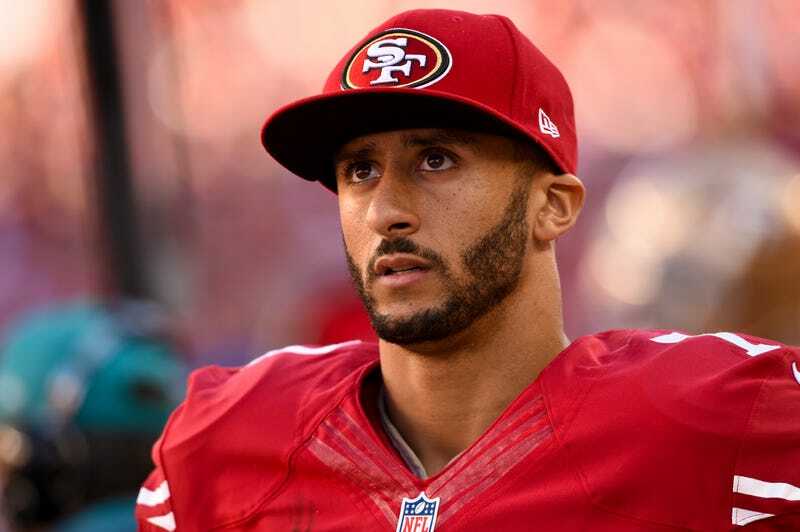 The shoe donation is in addition to Kaepernick’s Million Dollar Pledge in which he promised that he will donate $100,000 per month for 10 months to various organizations in oppressed communities. He began disbursing the monies in October and has donated money to grassroots organizations as varied as Causa Justa in the Bay Area, Mothers Against Police Brutality in Dallas, the I Will Not Die Young campaign in Milwaukee and Appetite for Change in Minneapolis. And though Kap reportedly has a shoe size 13-14, the fact is that even if the shoes are too big for individuals, these sneakers on will turn a pretty penny on the resale market for those individuals and organizations who receive them (we’re talking about immaculate, pristine kicks worn by a professional quarterback here). It's no wonder Kaepernick received the “2016 Len Eshmont Award” from his teammates this year. He is truly a courageous humanitarian, not only in word but also in deed.